Tales of Greek mythology have entertained countless generations of young readers with their accounts of brave heroes and heroines and the marvels and monsters that they encounter. 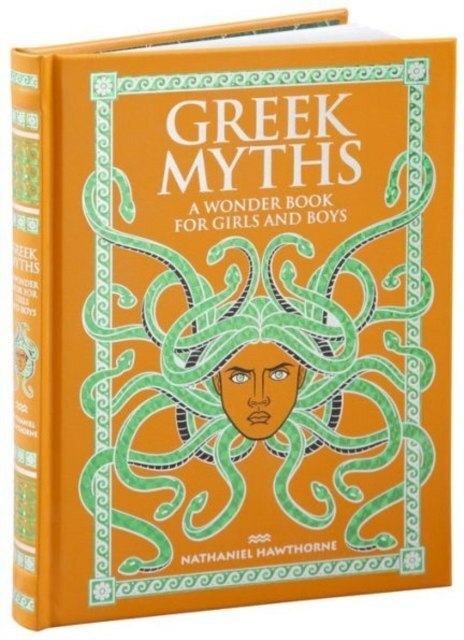 This edition of Greek Myths: A Wonder Book for Girls and Boys features six classic tales written especially for children by Nathaniel Hawthorne. It includes the legends of Pandora and the Box of Troubles, King Midas and the Golden Touch, Perseus and the Medusa, Philemon and Baucis, Bellerophon and Pegasus, and the labors of Hercules, all illustrated magnificently in color by Walter Crane.